Since e-tailing came upon us in 1995, all sorts of variations on the retail theme have been invented: traditional e-tailers, speciality e-tailers, grocery e-tailers, auction e-tailers, vertical e-tailers, and so on. Now another variety has emerged: luxury e-tailers. I guess we’re all familiar with Saks Fifth Avenue, Tiffany and Co., and Neiman Marcus. We have an impression of what these companies stand for. But what do you know about eLUXURY.com, ICE.com, or Mondera? These are sites that were launched over the past year. They target the top 0.5 percent of America’s population, a group that spends amounts of money that most consumers could only dream of and which most e-tailers can only hope for. A survey conducted by Forrester Research in May of this year shows that affluent consumers, with assets of $1 million or more, spend $100 per month online. That’s double the average online consumer’s expenditure. The same study also reveals that the wealthiest web users spend an hour more per week online than the less cashed-up majority of online shoppers. Furthermore, 56 percent of affluent households enjoy Internet access compared with 43 percent of the general population who have online access. Before continuing, let’s review the key reasons for traditional e-tailers’ miserable failure: the twin evils of outrageously high fulfillment costs and the lack of brand-name products. McKinsey Quarterly, in one study among many on the subject, states that a site needs the average consumer to spend more than $100 per visit to survive. Average expenditures less than this target, coupled with consequently high fulfillment costs, make e-tailing profitability impossible, no matter how many people purchase from the site. These fundamental reasons for e-tailing failure mean the new e-luxury trend makes sense. On these sites consumers spend, on average, between $200 and $700 per visit. That’s substantially higher than the average $50 spent on most e-tailing sites. Neiman Marcus reckons its customers spend as much as $195 per online shopping trip. Interestingly, this is only $35 below what the same consumer spends offline in the Neiman Marcus stores. Saks beats them all. This site’s customers spend an average of $350 per online shopping trip. So clearly e-luxury sites represent a sustainable business model. But what about brands? Let me share a couple of statistics with you. Saks announced an advertising bill of $212 million for the last year. This, however, attracted a revenue of $6.4 billion in 2000. Neiman Marcus spent $125 million in 1999 on advertising, which returned $2.6 billion in revenue. They both dealt in brands that you, I, and our parents have known for decades. Luxury products attract the prices they do and the frequent patronage they enjoy because of, yes, their brand names. Brands lead consumer choices, and being able to buy the right brand of product at the right store appeals to consumers. Though brands attract customers for many reasons, including the trustworthiness and promise of reliability they represent, the consumer story is also about image: buying the right brand at the right place and taking the product home in the right carry bag. I remember walking up and down a fashionable Parisian boulevard, passing by shops that boasted a plethora of luxury brands — stuff I’d only ever heard about. And as I passed these stylish windows, I brushed by a lot of elegant women, dressed to kill and equipped with their dressed-to-kill shopping bags, emblazoned with killer brand logos such as Louis Vuitton, Versace, and Gucci. Oh, I forgot to mention something important: I was on my morning walk. It was only 8:00 a.m. The shops weren’t even open and weren’t going to be for another two hours. Where had those carry bags come from? 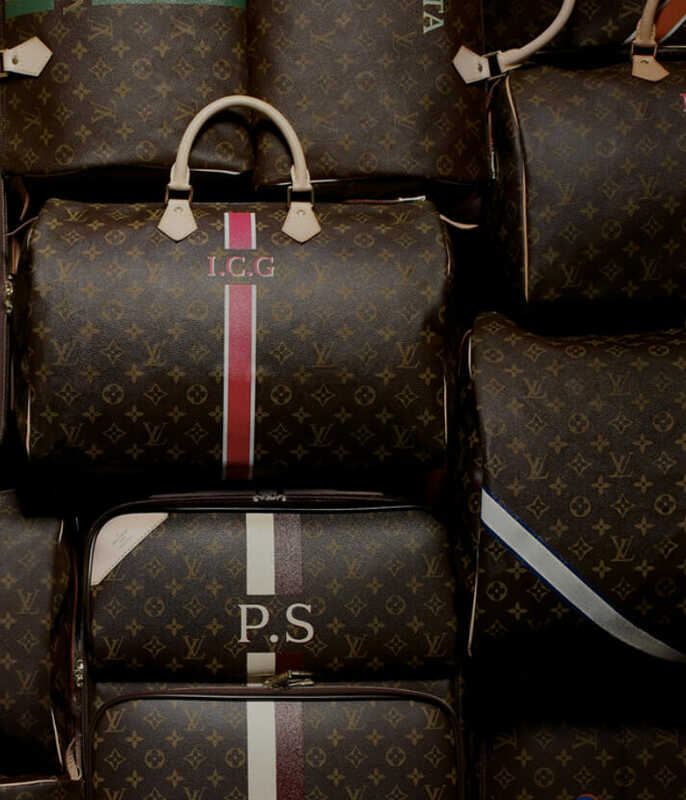 Luxury brands will be winners in the e-tailing arena just as they are in any other arena. My question is, will the biggest winner be a bricks-to-clicks brand or a dot-com brand? Don’t ask me. Competing with click-and-mortar outfits in an anti-dot-com environment is hard enough. Competing with 70-year-old brands buoyed by generations of consumer loyalty is even harder. But who said that things should be easy?